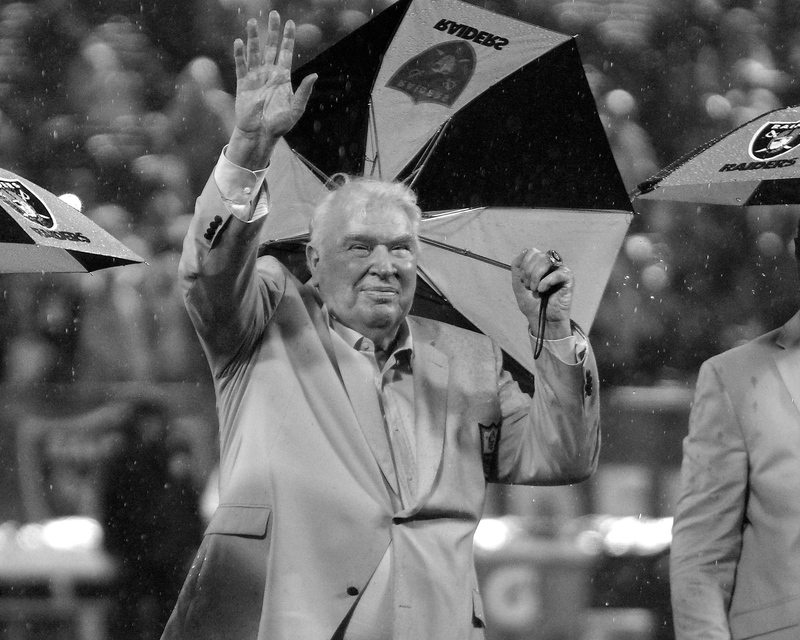 Q: Can you think of a logical reason that Ken Stabler is not in the Hall of Fame? Q: In the last few years there, after the Super Bowl, could you talk about how the tension between Al Davis and Ken Stabler? Q: You were with the organization when they drafted Ken. Can you remember the circumstances? Q: Did you ever come to Alabama to visit with Coach Bryant to talk about Ken? Q: You mentioned yesterday in your statement that you trusted Ken because he was ‘cooler’ under pressure than you. How would you describe his demeanor? How did you balance each other? Q: Could you tell us a story or a quote on things that Kenny would say postgame, after the win or loss? Q: Did he say anything after the Holy Roller game? 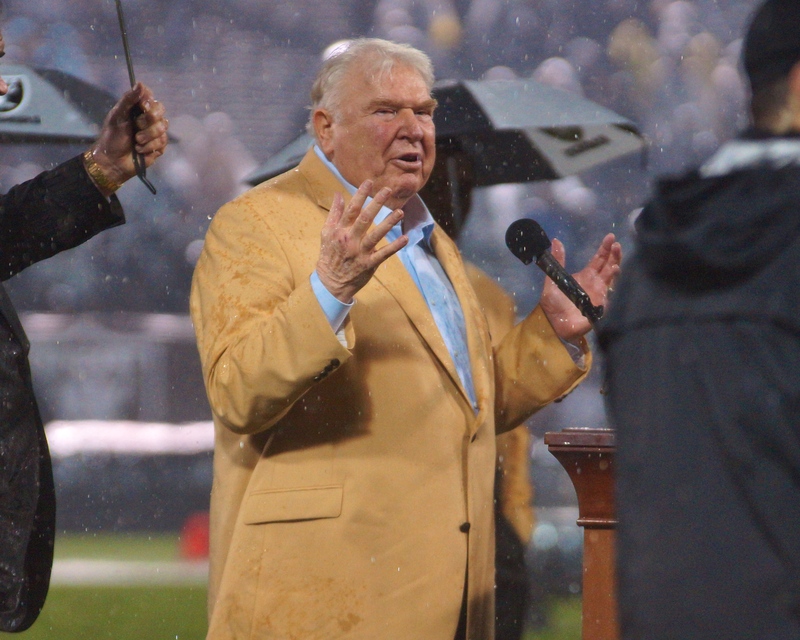 Madden: “No. I think after that Holy Roller game, you think of Kenny Stabler and you think about how he was involved in more name games than anyone. We were all in shock after that game. We had used our last timeout and we called a play and the last thing I said to Kenny when we went out, I said ‘no matter what happens, the ball has to come out of your hands. We cannot take a sack,’ because the game would have been over. So, he knows that. He’s thinking that and he starts to scramble, he starts to get tackled, he knows he has to get rid of the ball and he does. The rest is history. After that, it was just kind of shock. The day or two after that, then it kind of became like oh yeah, that was a play we work on, we knew what we were doing, and all that bologna. The bologna didn’t follow right after the game. 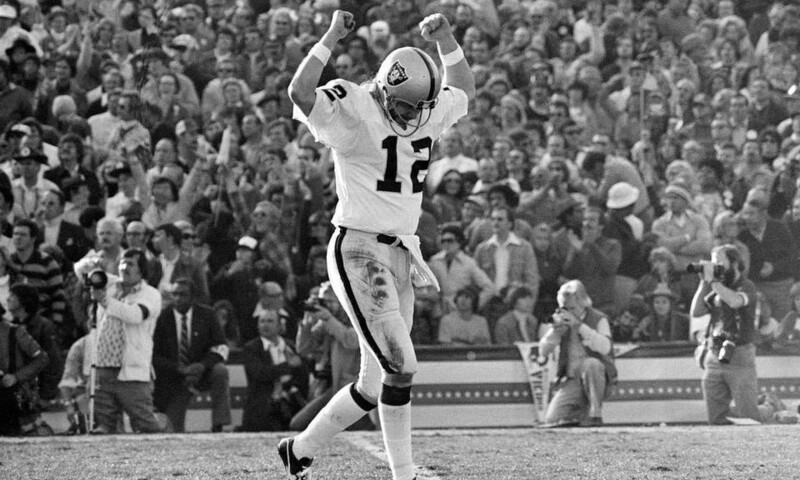 Q: Thinking back on the character that was Kenny Stabler, was there ever a moment where, knowing he was that kind of free spirited character that you were afraid he’d get that phone call that night before a game. Do you have any stories of that? Madden: “No. No, because he wasn’t that way. That was, at the time when I was with him, that was overplayed and overrated, and that wasn’t the way he was. I made a deal with him and I don’t know if it would work today, but I made a deal with him that I won’t mess with him in the offseason. I didn’t have one of those things where you have him come in for minicamp, OTAs and all that stuff. I just let him go. I said the offseason is yours, but the tradeoff is you give me the season. The season is mine. And you know I mean anything that I say that we have to do during the season is done. 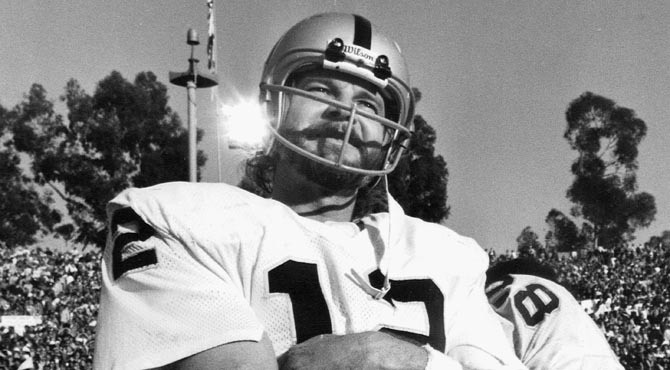 We had meetings before practice, we had meetings after practice, we had meetings at night, and he was always there, he was always attentive, and like I said, he was a brilliant guy, and the stories about him that came out later, to me, the Kenny Stabler, that I know, the stories were vastly exaggerated. Q: How aware would you say you were of the severity of Stabler’s cancer, how advanced it was, and what do you think it says about him that he made it such, that he kept to himself, that so many of his former teammates didn’t have any idea? 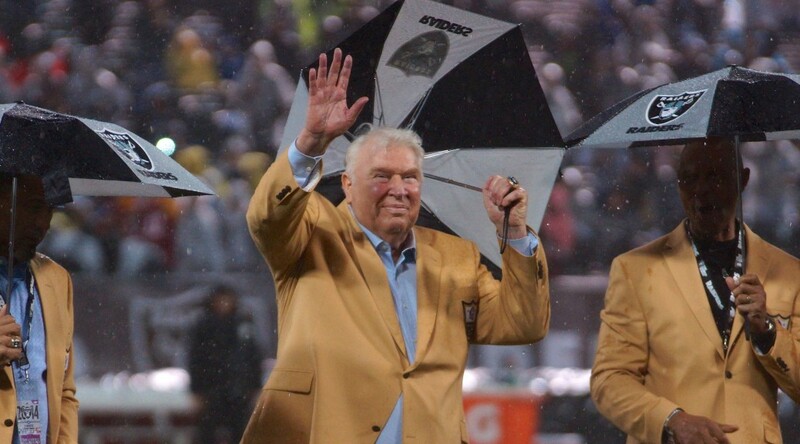 Q: I was just hoping you could tell us kind of a story, maybe not on the field, but about Ken Stabler that kind of epitomized who he was as a person? Q: Many players recall the immaculate reception game. What do you remember about it? Q: Did you ever wonder if the dynasty would have been different if they didn’t win that game? Q: What do you credit his, just innate ability to throw the football and get the ball to open receivers? 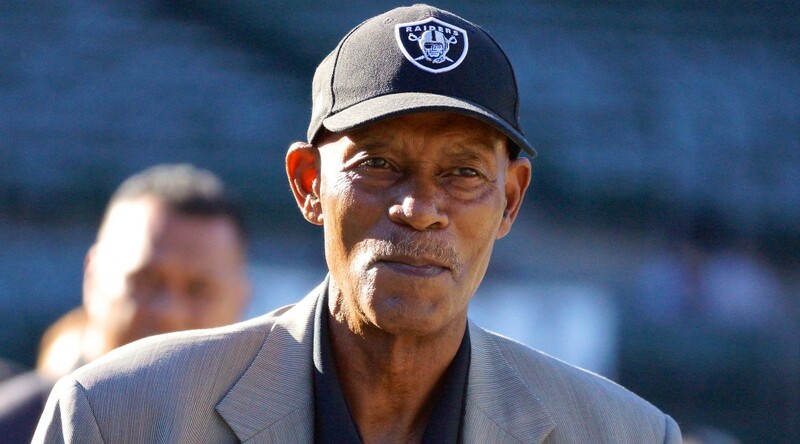 On Thursday, Hall of Fame cornerback Willie Brown appeared on Sirius XM NFL Radio’s Movin’ The Chains with Pat Kirwan and Jim Miller to discuss the legacy of the Raiders legend. 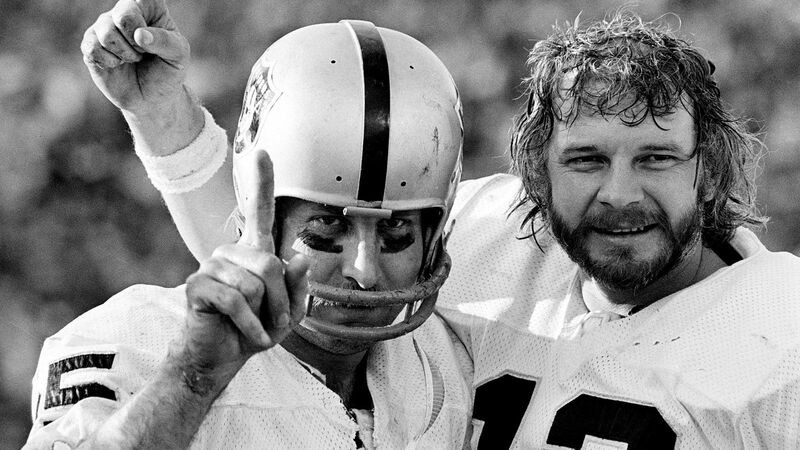 Ken Stabler and Willie Brown were teammates from 1970-78 and were key members of the team that won Super Bowl XI 32-14 over the Minnesota Vikings.